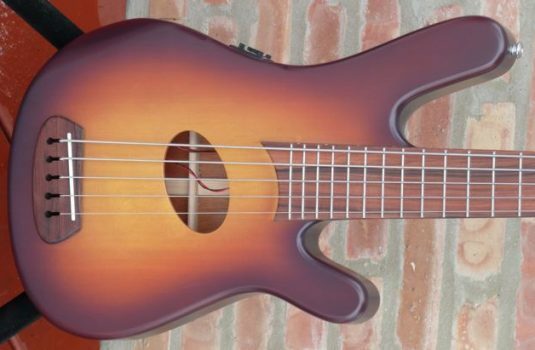 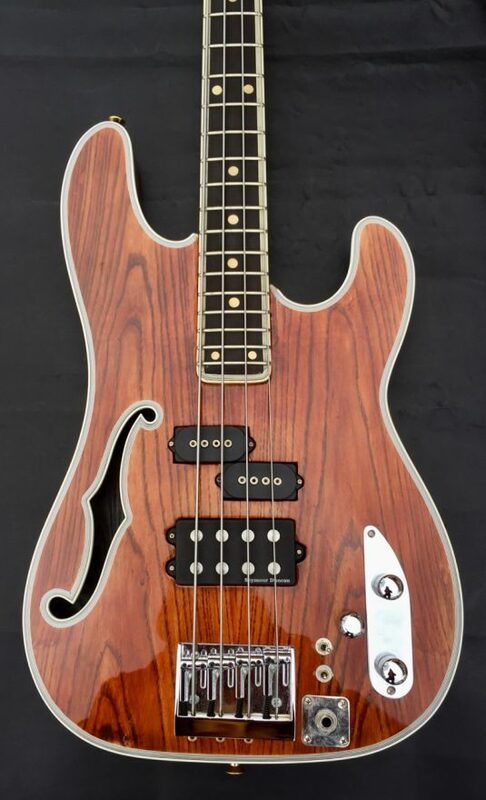 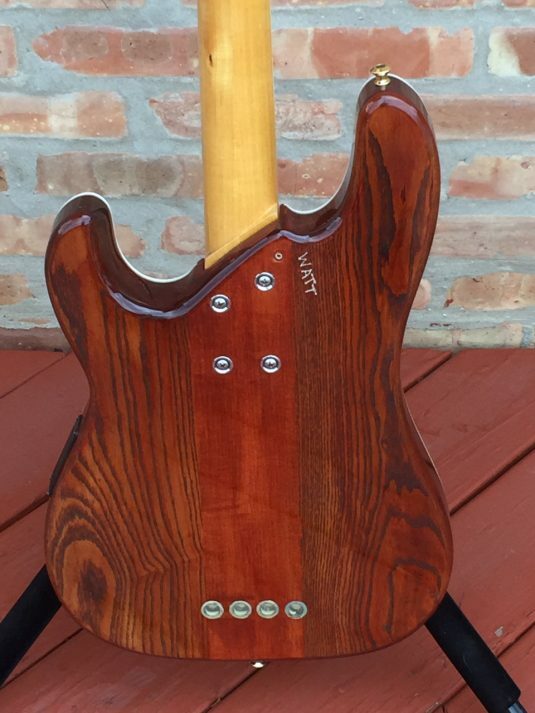 Tim Thelen is a luthier based in Des Moines, Iowa. 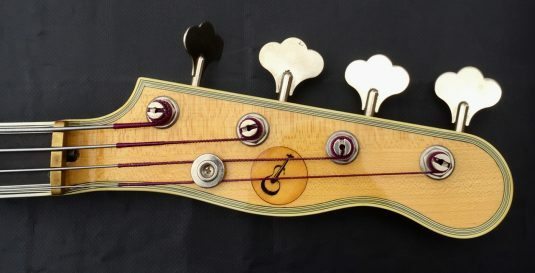 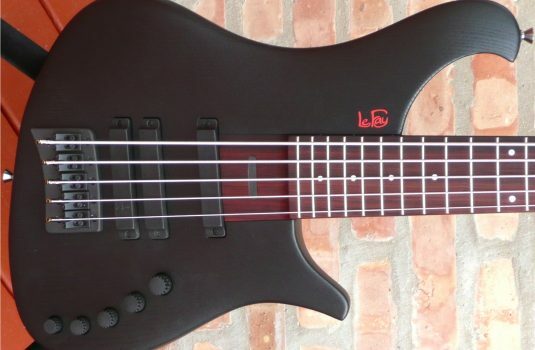 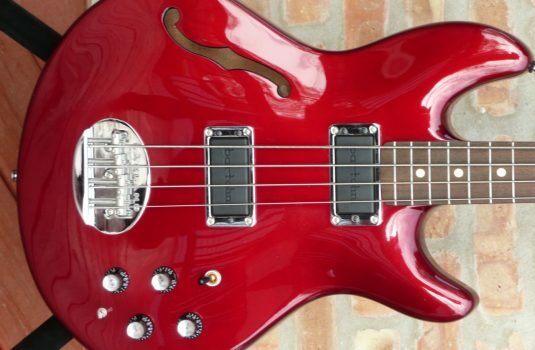 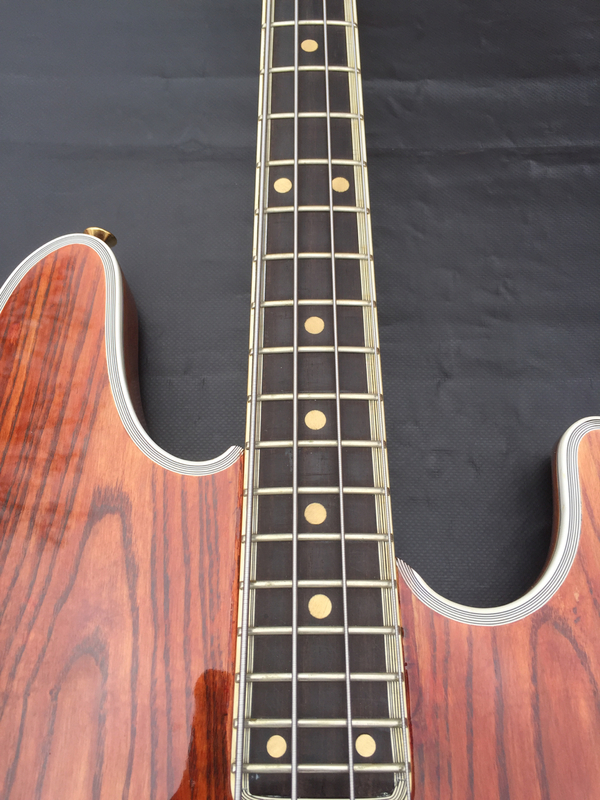 Back in 2000 Tim and Mike Watt collaborated on this semi-acoustic bass. It has undergone some changes since 2000, evidenced by the G&L and Seymour Duncan pickups – each can run in series or parallel mode. 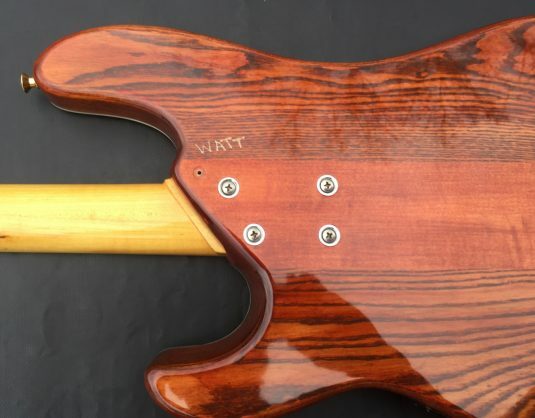 Genuine hand carved “Watt” on the back of the body. 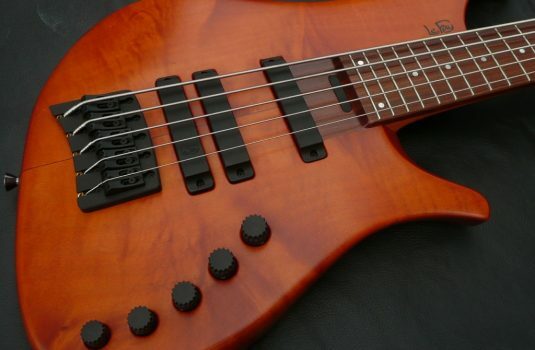 A one-of-a-kind bass for a one-of-a-kind player.